Councillors Derek Wann and David Fairweather promoting virtual tours of Angus. 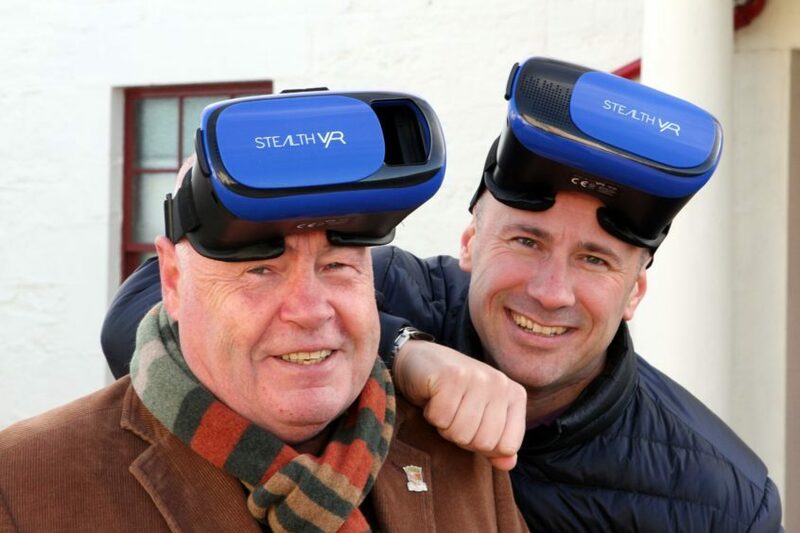 Virtual Reality apps could play a vital role in boosting Scottish tourism, local councillors have claimed. 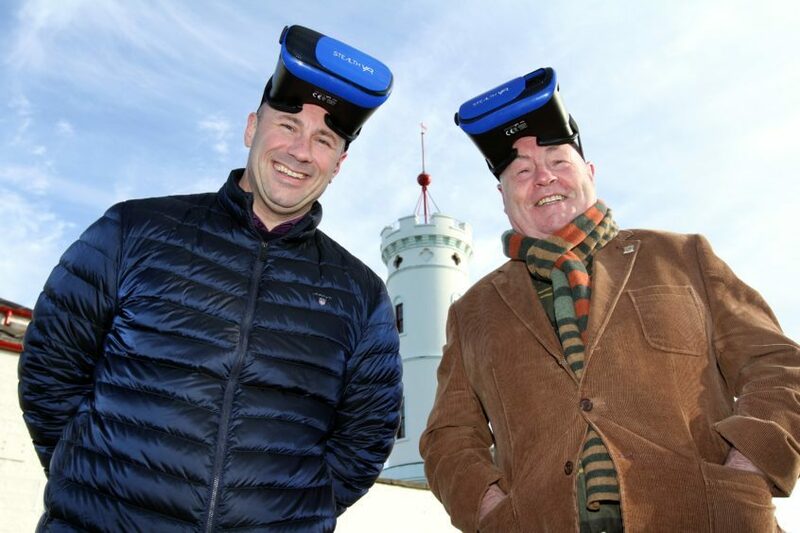 Arbroath Councillors are urging the Scottish Government to help areas like Angus develop VR to promote tourism. The call comes after it was revealed that a Japanese city had developed an app which allows viewers to ‘tour’ visitor attractions in the area on their smartphones. 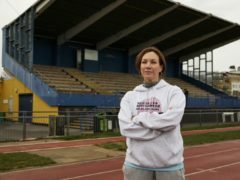 After the app was introduced, the number of foreign visitors to the city subsequently increased by 30 percent in a single year. Councillor Derek Wann said: “Business owners tell me that Angus misses out on tourism because visitors too often tour the central belt and head straight up the A9 – missing out Angus altogether. “If people have the opportunity to virtually ‘look around’ at what we have to offer on their smartphones, we could well emulate the success of our counterparts in Japan and boost tourism numbers to the area. Councillor David Fairweather added: “This technology is coming on in leaps and bounds, and it could also deliver great opportunities for our technology and creative industries. 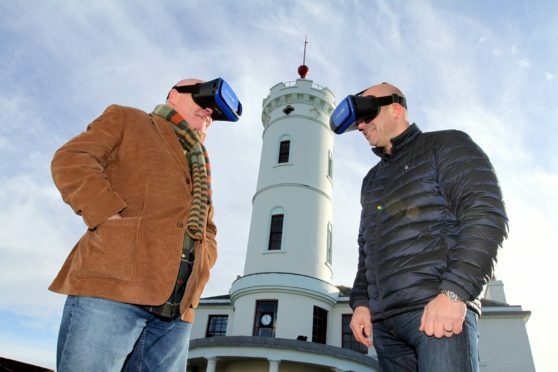 Senior Lecturer in International Tourism Management at Robert Gordon University, Craig Leith said: “The growing adoption of augmented reality and virtual reality with tourism provides a range of exciting opportunities. “Tourism is all about the ‘experience’, and this technology can enhance the experience for the tourist and provide increased opportunities for destinations and attractions. Jim Clarkson, VisitScotland Regional Partnerships Director said: “As we’ve seen with the success of our Scotland VR app, virtual reality is becoming an increasing popular and inclusive way to give everyone — regardless of interest, disability or location — a taste of what Scotland has to offer. “Far from being a fad or gimmick, VR is revolutionising the way people choose the destinations they might visit by allowing them to ‘try before they buy’ and learn more about the country in a unique and interactive way. “Angus is home to many of the assets that make Scotland special — breathtaking landscapes, rich history and exciting events. “Tourism is a vital part of the local economy, creating jobs and sustaining communities, so it is important we continue to look at new and innovative ways to promote the local tourism offering to visitors far and wide,” Mr Clarkson added.